Many cats love eating Tuna. 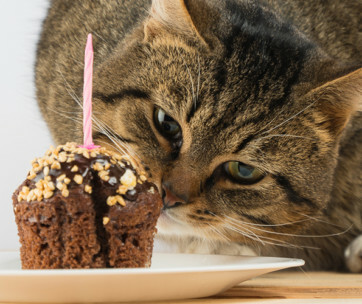 Feeding Tuna to your cat can be good for your cat’s wellbeing. However, it is important to understand that there are associated health risks for your cat if it eats too much Tuna. Too much of the wrong type of Tuna can cause serious issues for your cat. Fresh Tuna contains lots of useful nutrients, but it does also contain mercury which can be harmful to your cat. 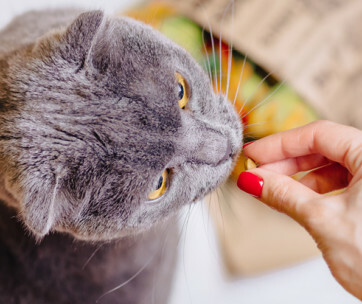 Luckily, there are things you can do to ensure that your cat can still appreciate the benefits of tuna without coming to any injury. The safest Tuna for your cat is fresh Tuna. This is because many kinds of canned Tuna contain artificial flavors and additives that are usually unhealthy for cats. It is simple enough to check the label on any Tuna product that you buy to ensure that they are chemical free. If you do intend to feed your cat canned Tuna, it must be Tuna in water, not in brine or sunflower oil. 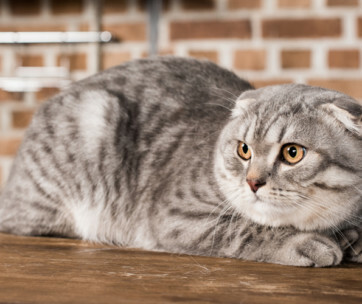 Brine can be extremely salty which can cause damage and oil has additional fats not intended for cats. Canned Tuna in water is the better option if you wish to give your cat an indulgent treat every now and again. A whole tin of Tuna is too much for a single meal for your cat. One tablespoon of Tuna ought to be enough when mixed with something else that your cat likes to eat. Tuna, of course, must not make up a substantial part of your cats’ diet as they require additional vitamins and minerals that Tuna just does not have. The ideal option is to buy Tuna that is fresh from the fish counter to cook at home. Ask your friendly fish seller to ensure your Tuna is off the bone and is left unseasoned. Many suppliers now add a variety of spices and seasoning to tuna to make it appetizing for people, but this is not good for your cat. Ask about any other additives which may have been added that could be toxic for cats to eat. Likewise, be mindful that when fishbones are cooked, they can splinter if ingested and damage your cats’ stomach or even cause choking. Concentrate on cooking any tuna carefully and look for hidden bones before serving. Some cats, of course, eat only a raw diet. Where a cat is to be fed a raw diet only, you need to talk about this with your vet first. Ask about the most suitable way to make raw food ready for your cat which will reduce any health risks. There are numerous reasons why tuna ought not to be fed to your cat all the time. There is much research which indicates that eating tuna can be risky to your cat’s health if eaten in vast quantities. Tuna is a deep-water sea fish so obviously is not part of a cat’s natural diet. Tuna will not contain all of the daily nutritional requirements your cat needs if eaten regularly on its own. That is why the most appropriate way to introduce tuna to your cats’ diet is to use it only sometimes as a treat. It can also be mixed with more cat-friendly processed meals on occasion. If your cat eats only tuna, your cat will not be receiving sufficient quantities of calcium, vitamin E, copper, sodium, iron, and other vital vitamins. If your cat turns out to be deficient in any of these important minerals, quite a few medical conditions could develop. Raw tuna even contains high levels of unwanted fatty acids and this leads to dangerous vitamin E deficiency in cats. If your cat has been eating lots of tuna on a regular basis and develops any combination the warning signs listed above, you must take your cat to your vet directly. Some cats insist on a fresh fish meal and can be difficult to persuade otherwise. If you have a picky eater you might want to try to slowly encourage them to taste other forms of protein, so they are getting a healthy balanced diet. Blend a small quantity of new foods with their Tuna fish so they are less reluctant to eat something different. Deliberately add meatier cat food options to your cat’s bowl and cut the amount of Tuna out over the course of a few weeks. 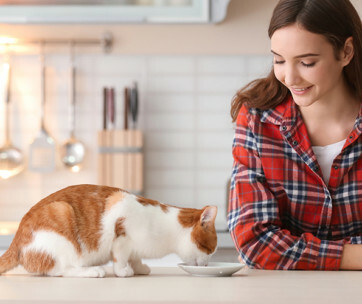 If your cat remains defiant and will not tolerate a change in their food, then select a fish-based cat food that will be more nutritionally balanced than Tuna alone. It is a good idea to consult your vet with any questions if you are worried about feeding your cat Tuna. Veterinary advice will give you a better idea about proper serving sizes, guidance on how to prepare Tuna, and give advice on how frequently you can give Tuna to your cat. When your vet says your cat can have tuna, give them only a small amount infrequently at first and monitor their reactions. Stop giving your cat tuna if you see any changes in their health. In essence, the question of whether you should feed your cat Tuna is down to the individual owner. 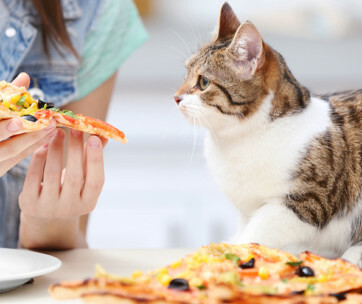 For most cats, Tuna it seems is high on their list of much-loved foods. Cats delight in the taste of Tuna fish whether it comes from a tin or fresh and they are always happy to find it in their dinner bowl. Lots of cats can get addicted to Tuna and this leaves owners with the problem of how to feed them anything else. It is important to weigh up what is best for your cat and fully consider the health concerns surrounding feeding Tuna to cats. 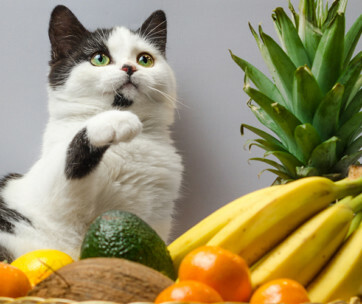 Can Cats Eat Bananas? Are They a Good Treat?